This two-part nutrient formula provides the perfect diet for stock plants, whether grown in soilless mixes or soil. Exacting N-P-K ratios are calibrated to meet the nutritional requirements of the mother plant, without excess nitrates. Rich bio-organics are added to improve the uptake of nutrients and strengthen the plant’s natural immunity to environmental stress resulting in strong, vibrant clones. MotherPlant® Nutrients are specifically formulated for the nutritional requirements of mother, or stock, plants. Shake well before using! Mix 15 – 20ml (3 – 4 teaspoons) of MotherPlant A and 15 – 20ml (3 – 4 teaspoons) of MotherPlant B per gallon of water. Add to water one part at a time. Do NOT mix Part A and Part B together without water. 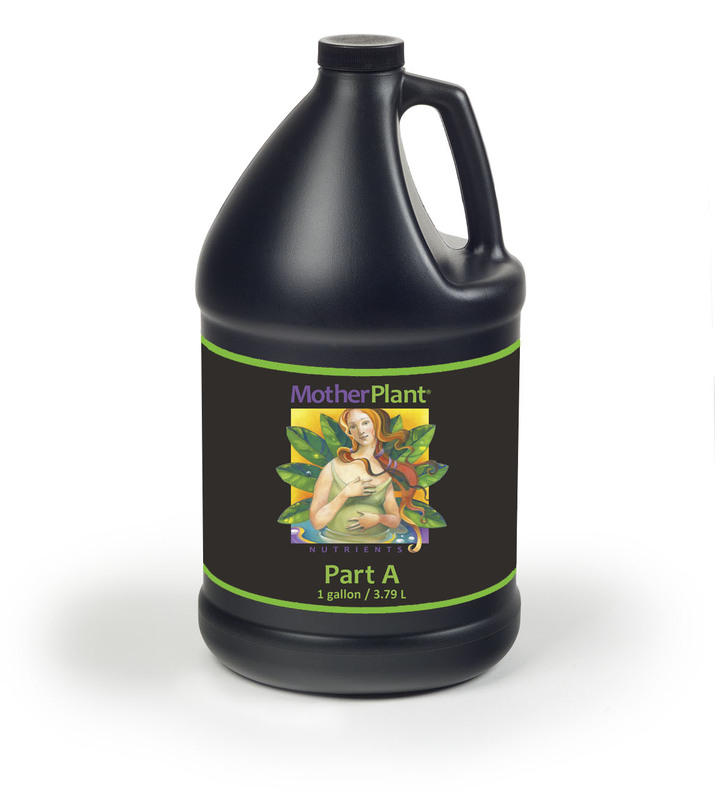 MotherPlant is a continuous liquid feed nutrient designed to be used with each irrigation. Apply only as directed.